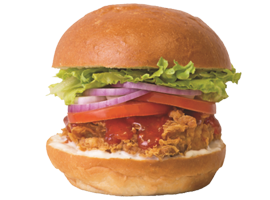 Our original burgers are served with milk buns, iceberg lettuce, tomatoes, red onion, drizzled with ranch and your choice of sauce. 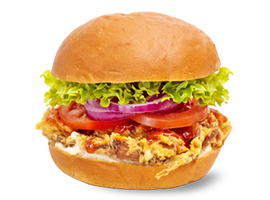 Make it a Regular or Large combo when you purchase any Burger. Choose between Chips or Salad with a drink. 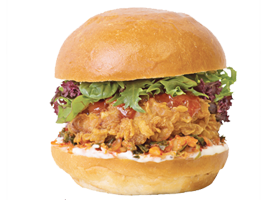 Our Kimchi Burgers are served with milk buns, mixed leaves salad, onion tossed with Korean Salad dressing, sliced kimchi, drizzled with ranch and your choice of sauce. Make it a Regular or Large combo when you purchase any Burgers. Choose between Chips or Salad with a drink.